If you desire something a bit different, the Provincial range offers style and sophistication with its heavy square design. 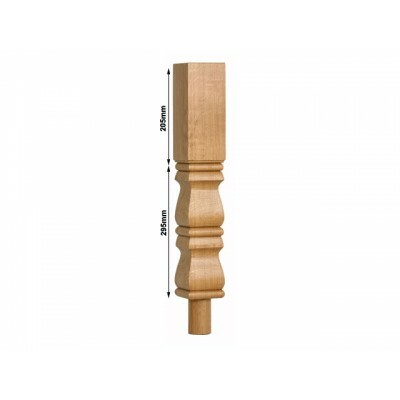 Provincial balusters add a modern touch to the shape of the traditionally turned baluster, featuring square profiled edges rather than rounded. This effect is achieved using a square cut, rather than turning, to achieve the straight-edged shaft of the newel to produce a shape similar to that of the Oxford style, but with the enhanced visual impact of the square cut edges. Pulpit PST-4 newels are the shortened version of standard PST-4 newels and are usually required when an up-coming handrail meets the post below the turning, like on the inside corner of a 90 degree winding turn. 90 x 90 x 500mm, 205mm Head.